Finish one novel writing project – I stopped writing this year and haven’t finished any other writing-related projects. Submit to the PNWA contest – I did and I won second place in the short story contest! Learn a breakdance party move – I still want to do this! Volunteer at Thrill the World and perform for the 5th year! 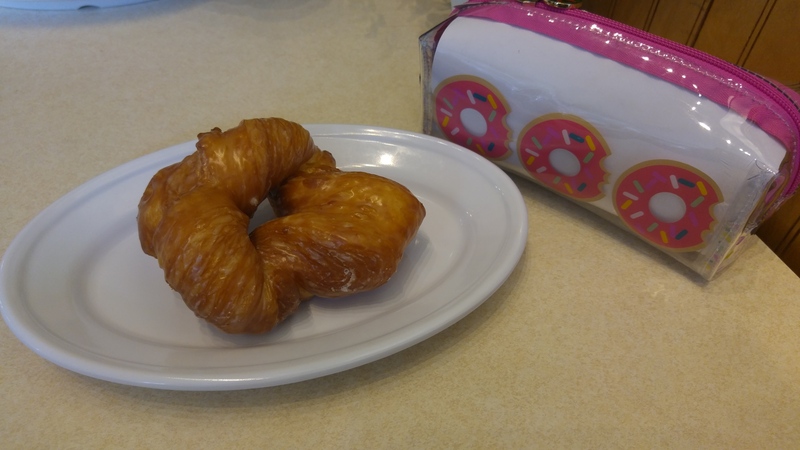 After a visit to Georgia’s Bakery – where I snacked on the delicious cronut – I went upstairs to the Village Theatre to see the Superior Donuts production! My last experience with community theater wasn’t that great, so I didn’t have high expectations going in, however, just seeing the set I could tell that this show was going to be good. Care and detail had been put into the set. The walls of the donut ‘shop’ were made to look old and outdated. They even had a fake view to the outside with an open sign and everything! If you get a chance, I would highly recommend this play! Full of laughs and catch you by surprise contemporary phrasing (aka adult language), Superior Donuts was highly entertaining. The play itself contained great dialogue and character interaction and while some scenes were a bit unusual, the play as a whole was very well written. The Valley Center Stage was a delightful little theater. No seat was a bad seat and the actors’ voices carried all the way to the back. The actors themselves carried the play from delightful to amazing. Their delivery and timing were impeccable. They even ate donuts and drank coffee during the scenes! My favorite parts of the play were the fast quips making fun of everything from Starbucks to donuts to the way the main character, Arthur, dresses. Grab yourself a donut from the concession stand (courtesy of Georgia’s) and settle in for a night (or afternoon) of laughs and entertainment with this comedy drama. 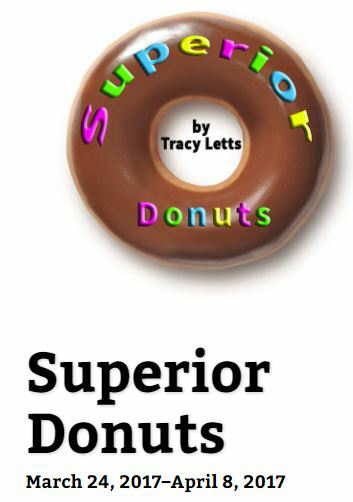 Description from the website: Superior Donuts takes place in the historic Uptown neighborhood of Chicago, one of Chicago’s most racially diverse communities. Arthur Przybyszewski, a despondent, aging 1960s radical owns a run-down, dated donut shop that has been in his family for sixty years. New employee Franco Wicks, a young, enthusiastic black man, inspires to infuse new energy into the shop while Arthur remains detached from investing in his business and life. Arthur grapples with his past while Franco, trying to find footing in his own life, has his own serious challenges. This provocative comedy drama explores the challenges of embracing the past while celebrating the redemptive power of friendship. Feel the thunder of thousands of people posting the same thing at once! Definition of Thunderclap as Rachel sees it: A marketing technique wherein authors fill out a campaign on thunderclap to have a simultaneous posting release to Twitter/Facebook/Tumblr. Thunderclap is much like Kickstarter in that you HAVE to have the minimum amount of supporters for the thunderclap to release. I’m not to my minimum yet and would kindly ask my blog readers to check out my campaign and pledge their support. Speaking of books… Have you supported my thunderclap marketing campaign for the release of Donuts in an Empty Field? Please check it out and support it! Miscellaneous Mondays – Author Platform – Newsletter! Let me know if you want to see anything else in my newsletter! I love getting all your comments. 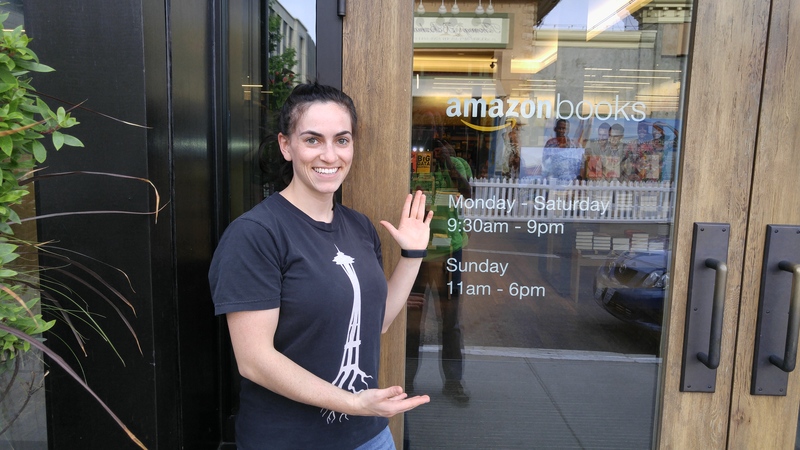 How Many Reviews Does it Take? 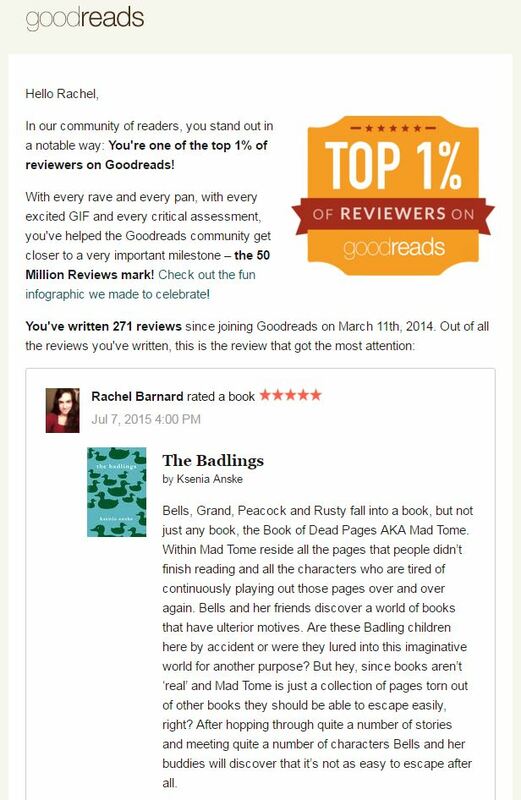 Goodreads Top Reviewer!